Project: Animated Presentation. 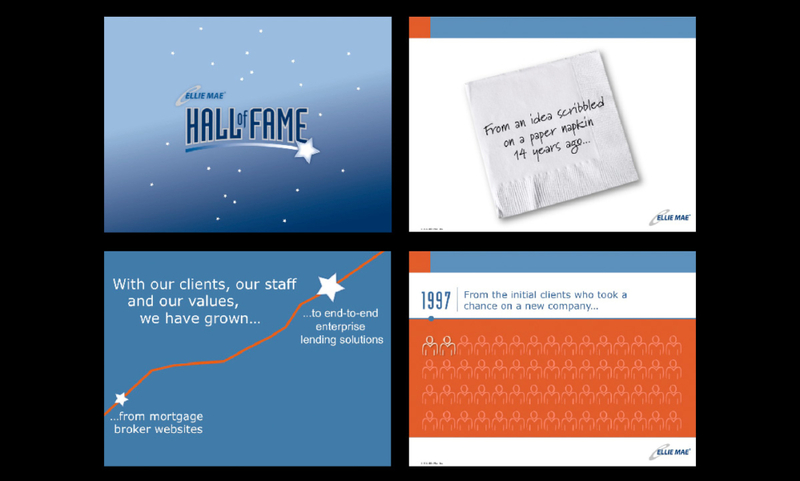 Role: Presentation design, production, graphing, animation, image preparation. 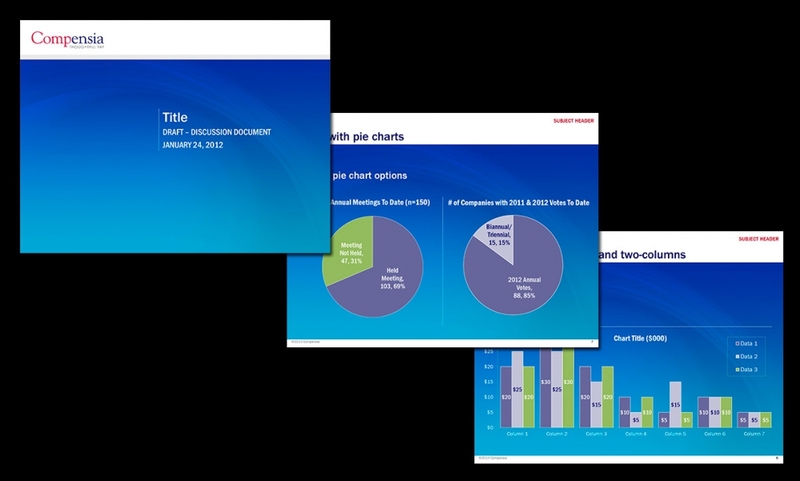 Challenge: To create a simple, but visually compelling internal presentation. Software: Keynote, Photoshop. Project: Animated multimedia presentation. 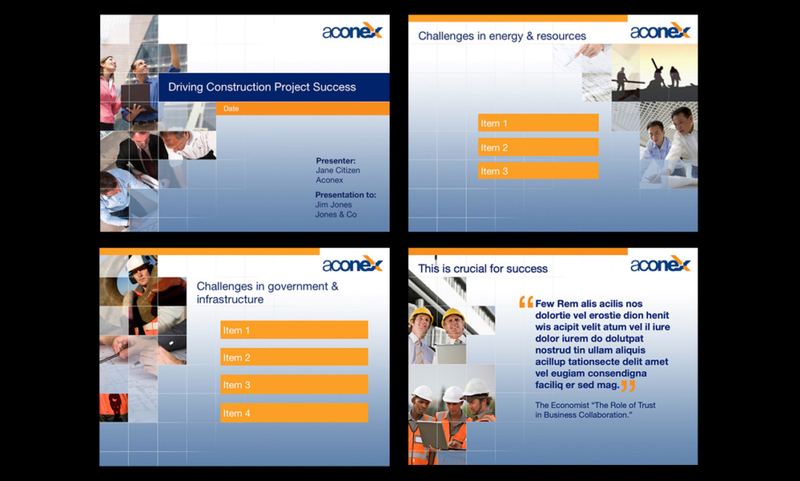 Role: Template/presentation design, animation, production, image and video preparation. Challenge: To design a high-end multimedia presentation incorporating music, video, graphing and animation. Software: PowerPoint, Flash and Photoshop. 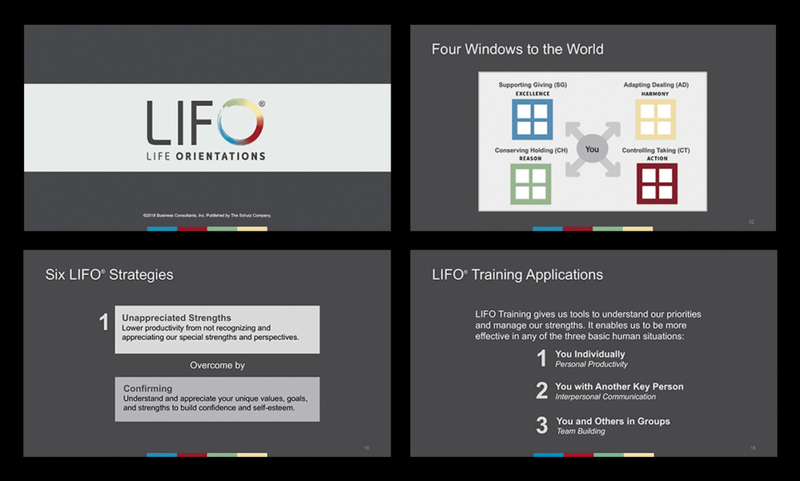 Project: Animated Training presentation. Role: Design, production, image preparation, animation. 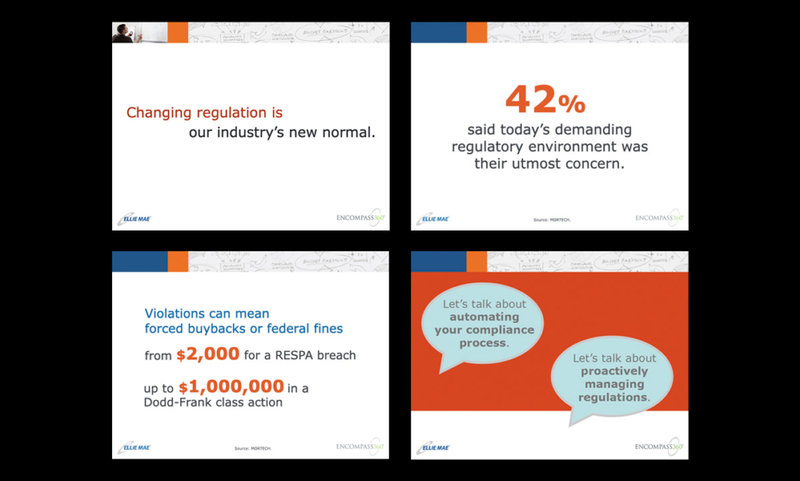 Challenge: Create a presentation and infographics that helps convey information to participants in a bold and concise way. Software: PowerPoint, Illustrator. Project: Marketing Presentation Template. Role: Design, production, image preparation. 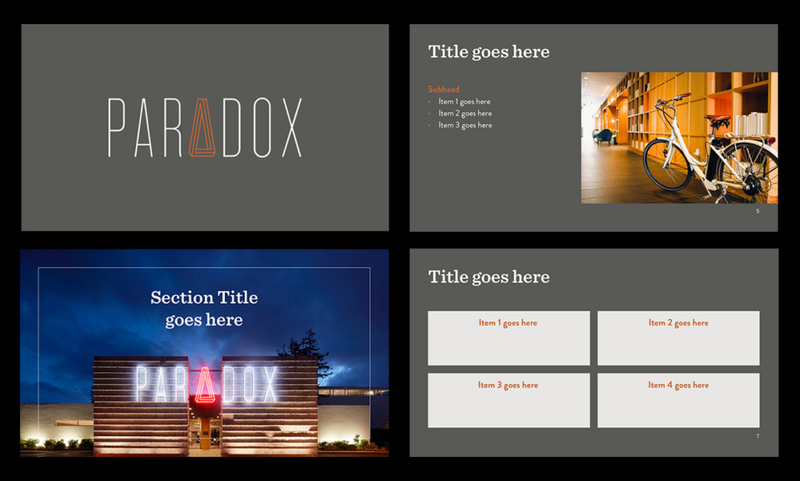 Challenge: Create an easy-to-use presentation template that showcases the brand. Software: PowerPoint, Illustrator. 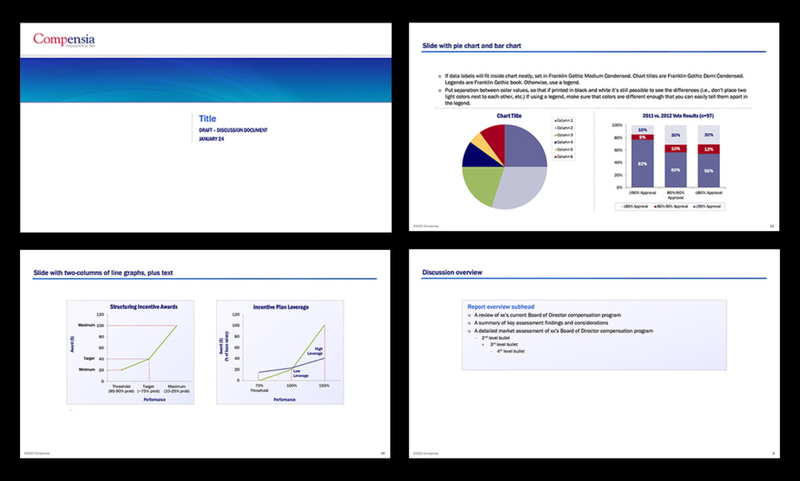 Project: Presentation template for print and small screen. Role: Template design, production, image preparation. Challenge: To design a well-constructed, robust template with multiple master pages and elements that reflects overall company branding. Software: PowerPoint, Photoshop. 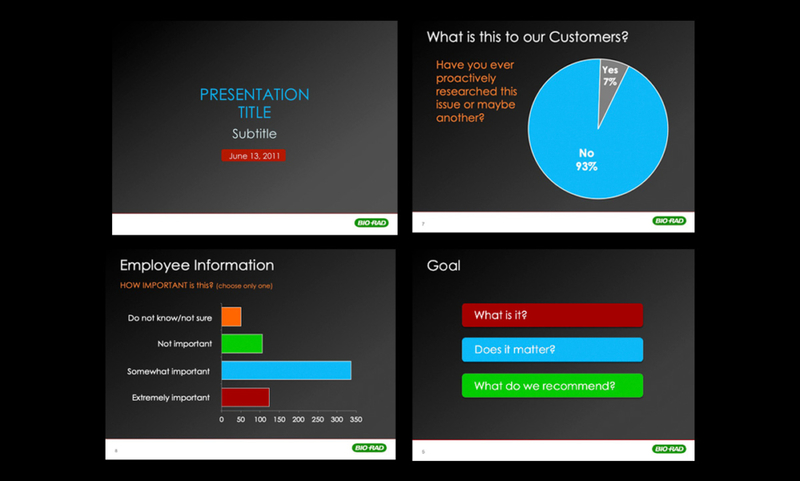 Project: Onscreen presentation template. Role: Template design, production, image preparation. 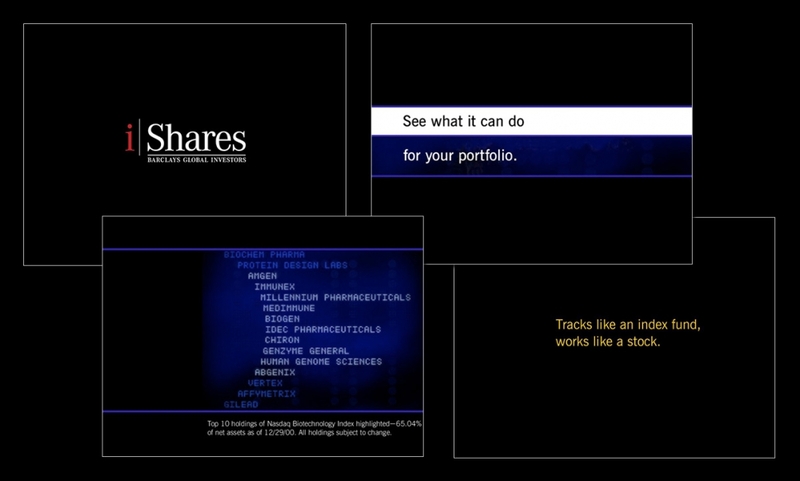 Challenge: To design a simple, but bold onscreen template that works alongside the print/small screen presentation. Software: PowerPoint, Photoshop. Project: Trade show booth marketing loop. Role: Concept, design, production, image preparation. Challenge: To create an eye-catching piece that informs visitors of the magazines new technology products. 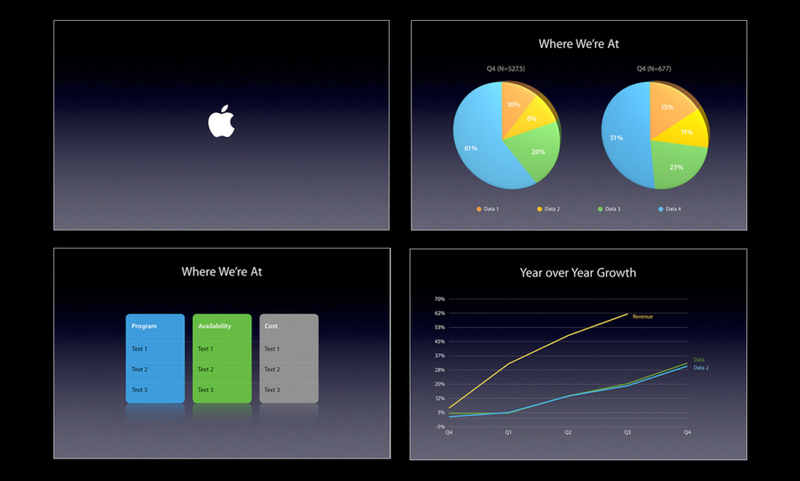 Software: Keynote, Photoshop. Project: Online marketing presentation (with voice over and animation). Role: Concept, design, production, image preparation. Challenge: Analyze script to develop simple but compelling imagery to drive and support the narration. Software: PowerPoint, Illustrator, Flash (conversion), Brainshark. Project: Animated Event Loop. Role: Concept, design, production, image preparation. Challenge: Analyze script to create interesting and compelling imagery to convey the message. Software: PowerPoint, Illustrator, Photoshop. 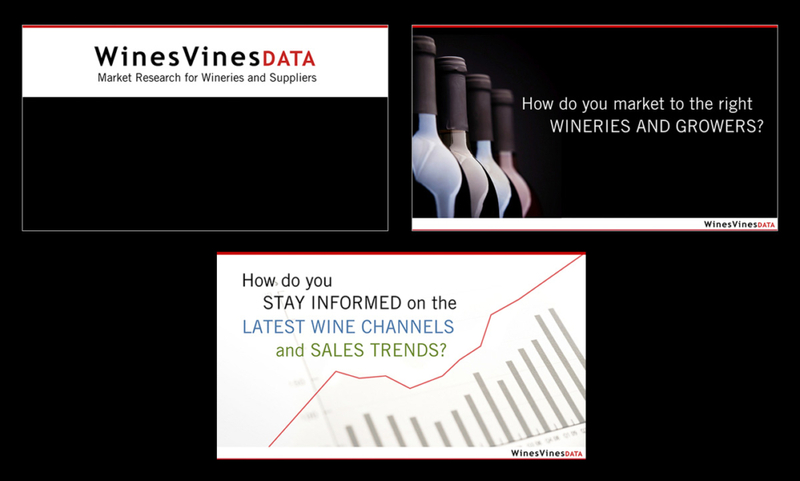 Project: Marketing template and presentation. Role: Template/presentation design, production, image preparation. 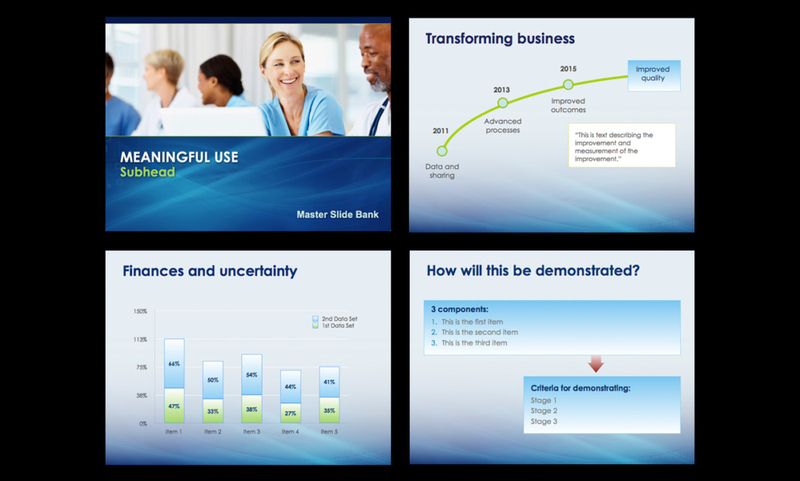 Challenge: To create a compelling presentation utilizing elements and treatments from the corresponding print materials. Software: PowerPoint, Photoshop. Project: Animated marketing loop. Role: Design, production, image preparation. Challenge: To design and produce a promotional loop to play between commercials on the NASDAQ building in New York City. Software: Flash, Photoshop, Illustrator. Project: Company template and master deck. Role: Template/presentation design, production, graphing, image selection and preparation. Challenge: To create a template and master deck for the organization utilizing and further developing new brand guidelines. Software: PowerPoint, Photoshop.